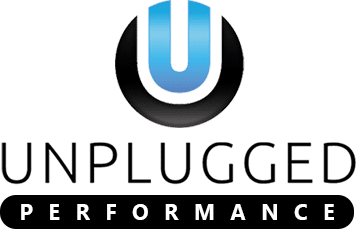 All merchandise sold by Unplugged Performance is covered by a two year unlimited mileage warranty against defect or failure under normal use when installed at Unplugged Performance’s facility or an Unplugged Authorized installer. If any item is shown to be defective or fail within two years of proper installation they will be replaced at no charge. Damage incurred by impact, vandalism, improper installation or removal or modification, flood, or other untypical and abnormal use is not covered. No labor, shipping, currency losses, fees or inconvenience may be included in any claims. All orders placed with third parties are governed by the warranty policy of the person or organization from which the item is purchased. Warranty on Unplugged products is immediately voided if purchased from any entity that is not an Authorized Dealer. If you have any questions or wish to clarify or dispute any of these policies this must be done in writing in advance of any order. To ensure you are purchasing high quality authentic parts and merchandise please purchase exclusively from Unplugged or one of our Authorized Dealers. Replica items may pose a grave danger to you and your vehicle. Replica products carry no warranty or support from Unplugged Performance. Please report the seller of any replica products to Unplugged at your earliest convenience so we may take all steps within our power to protect our fellow Tesla owners. Unplugged Performance regularly ships to customers all over the world. Credit card orders will be accepted on follow-up purchases at Unplugged’s discretion. Any acceptance of international credit cards comes at a convenience charge which is designed to offset the high costs of accepting international credit cards. Contact a sales representative to discuss the convenience rates which vary per credit card type. Customers are responsible for their respective country’s imposed fees and/or duties on imported items. Unplugged Performance has no way of accurately assessing what your potential customs duties or other associated costs, charges, or liabilities may be and those expenses are entirely borne by you as the customer. Unless stated otherwise in writing, all products sold are made-to-order. All made-to-order items must be paid in full prior to starting the order and are non-refundable. This policy is designed because Unplugged takes each client’s order reservation as a trusted commitment and we proceed with confidence in each client’s commitment. Most items are produced in-house by high quality materials which are purchased in real-time to begin each order. The production process going from raw materials to completed ready to install painted products involves many stages. It is extremely disruptive to our system to begin an order and then have a commitment withdrawn; doing so disrupts not only the order at hand but it also sets back other valued client orders. As a result and to ensure streamlined processing this non-refundable policy exists. Items for which production has been begun or completed may not be cancelled. We are consistently logging variations in each Tesla and we are consistently making variations of our parts to ensure we have compatibility to every month of production, every trim and every variation of the Model S. Please note that while our reference data of Tesla model variations is industry leading, of any particular part to your Tesla unless it is installed at our facility or by an authorized install facility with Unplugged certified technicians. When placing an order, we rely on each customer to provide us with any and all data regarding the specifications of their car. Unplugged cannot be held financially liable for resolving any fitment related issues if wrong or incomplete data was provided by the client. Complete data would include: Month & Year of production, Trim Specification, Color, any relevant options on the car. In all foreseeable times of potential miscommunication we will contact our customers to verify details of their order. Any defective items or items significantly damaged or destroyed during shipment are eligible for exchange. For items that are new-in-box and not installed, we offer a 30-day return policy with a full refund of the item price. Items returned after 30-days and before 1 year are eligible for return with a 30% restocking fee. For used / installed items, we offer a 30-day return policy with a full refund of the item price. After 30 days, used / installed items are not eligible for return. For return items, we must receive the item back at our Hawthorne, California location for inspection prior to issuing a refund (the buyer is responsible for any return shipping fees). No exchange or return will be allowed or accepted without a pre-confirmed RMA # issued by management of Unplugged Performance in writing. In such case the refund basis would be of the item only, not of shipping or related/unrelated other expenses. Abandoned items or rejected shipments are still the responsibility of the customer and restocking and storage fees will be billed as applicable. Any items requiring storage for more than 6 months without prior written authorization from Unplugged Performance will be considered abandoned and will be subject to forfeiture. Any items forfeited may not be returned, refunded or exchanged in any manner. All made-to-order items, as described above, are non-returnable and non-refundable. Unplugged Authorized Dealers enjoy the full warranty and technical support of Unplugged Performance. Please follow up with your dealer for warrantee claims or technical support. Please do not contact Unplugged about any issues. Please contact the party from which you have purchased your item. No refund, exchange, or after purchase support will be offered for an unauthorized purchase. Many products shipping from our facility are carefully inspected for damage or imperfection before packaging. If you item arrives damaged in any way, take photos and notate the damage when receiving the item. If the box is damaged in any way please note that on the shipment documents and take photographs of the box before opening. If you are unable to officially notate the damage with the shipping carrier at the time of delivery you must reject the package. Once signed as undamaged, any freight damage claim is null and void and we can do nothing to help you. Additionally, please note that items cannot be insured for more than the stated value. If you need to process a damage claim, action must be taken within . After 72 hours, refunds, reorders and claims cannot be processed. All shipped items are fully insured. Unplugged will not be held responsible for the outcome of the claim, although we will assist you to the furthest extent possible. Unplugged cannot assist with items shipped by a third party. Unplugged has no control over packaging, shipping or damage claims for any shipment sent by a third party to the customer. We recommend that you follow the same procedure as we require regarding potential damage claims. By ordering you agree to abide by the shipping policies of the party from which you have ordered. While all of our parts are designed to exacting specifications and function to a high standard, some of the parts for sale have been designed for and are intended for off-road application only and may not be homologated for road use in your country or jurisdiction. There may be laws that prohibit the removal, modification, or rendering inoperable of any device or element of design affecting vehicle operation or safety in a vehicle used on public highways. Violation of such laws may subject the owner or user to a fine or penalty. Installation of this part may affect warranty, if any, on your vehicle. Vehicles modified by use of performance parts may no longer be lawfully used on public highways in some jurisdictions. Unplugged Performance takes no responsibility for the individual client’s use of such products as all products are sold for private and off-road use only. Unplugged has no knowledge of, ability to, or responsibility for informing you of your local road or off-road usage laws. Customers who bring their vehicles to be upgraded at our facilities are automatically afforded 30 days of free storage for any parts removed from the vehicle following the conclusion of work being performed. Within 30 days from work being completed we require that the parts be either picked up from our facility, shipped from our facility at the customer’s expense, or surrendered for recycling, disposal or resale. If parts are not picked up or shipped within 30 days of the completion of the work Unplugged will consider any and all items abandoned and surrendered without further notice. If extended storage beyond 30 days is requested it will be billed to the customer. The fee rate is (per month): $80 per bumper-sized item, $40 per hood-sized item, and $20 per small items. Boxing, packaging, or palletizing fees will be billed a la carte as needed. For work being performed at other facilities, it is the responsibility of the customer to ascertain the policies of the companies performing the work in regards to storage of parts removed from vehicles. These policies and procedures are subject to change at any time without notice.